Home » Blog » Do We Love Jesus But Not the Church? The slogan “I love Jesus but not the Church” has been repeated so often it’s now a category in major surveys. It’s now supposed to cover about 10% of people in the USA. This individualistic consumerist mindset may have eroded the thinking of more than this category alone. It’s easy to be a fickle consumer of the Church, taking what we like and leaving the rest. Without recognising it, we often complain when Church doesn’t fulfil our needs and expectations. There are of course genuine hurts and struggles as in any human relationship. Yet it seems as though our view of the Church has become too small. Slogans about not loving the Church may seem absurd at the same time that our love to her has grown cold. Do those who say they do love Christ and the Church give practical expression to that love? Loving the Church is not to be in word or in tongue only but in deed and in truth (1 John 3:18). David Dickson draws out some of these lessons in commenting on the second half of Psalm 122 in this updated extract. This is a Psalm that speaks with joy about a willingness to worship God together. Jerusalem -the place where they gathered- was marked by unity, stability and God-ordained government (verses 3-5). This is to be a picture of the Church also -which is frequently compared to Jerusalem in the New Testament (Hebrews 12:22; Ephesians 2:19; Galatians 4:26). This part of Psalm 122 exhorts us all to pray for the peace of Jerusalem, or the Universal Church as signified by it. 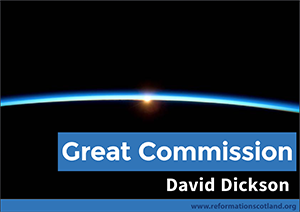 As part of this, David Dickson explains some general principles for practical love towards Christ’s Church. We must love Christ’s Church as well as Christ and we must do this is in a wholehearted way. The universal Church should be dear to every member. We must pray for her that she may prosper: “Pray for the peace of Jerusalem” (v6). No one can pray for the welfare of the Church heartily unless they love her. No one will love her and seek her welfare without faring better for it themselves. It is promised here that those who love her will prosper (v6). The Church is a war-town. It is like a walled town situated among enemies, and cannot trust those outside but must constantly keep watch. Jerusalem, as the type of the Church, was a shadow of this with her walls and towers. She must have peace within her walls (v7). Peace within the Church is no less necessary than prosperity. As long as peace is within the Church, it matters less what enemies she may have without. Thus, we pray that peace may be within her walls and prosperity within her palaces (v7). All the members of the Church militant should love one another as brethren, as fellow-partners in loss and gain. The relation which they have to one Father (the Lord) and one Mother (the Universal Church) means that they should love one another as brothers and companions (v8). The Church is the Lord’s dwelling house in this world. Whoever loves the Lord must not only inwardly love her, but also use all effectual means endeavour to promote the good of the Church. Every true member of the Church must do as much for her as lies in them, to the utmost that their calling will allow. 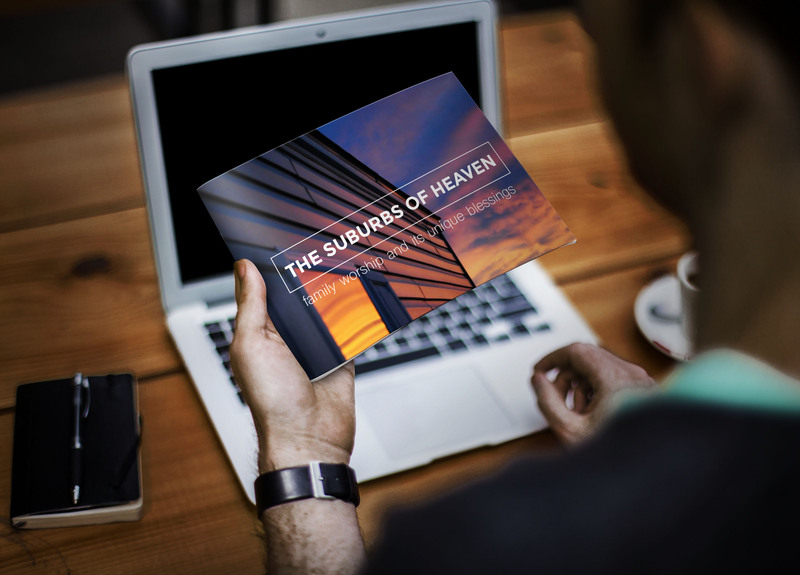 They must do all they can to have religion established, God’s ordinances obeyed, public worship established, the Word truly preached, the sacraments rightly administred, and Church-government exercised according to the Word of God exercised. This is what the example here teaches us, to seek the good of the Church for the sake of “the house of the Lord my God”.